In the early days of the sport, clubs from South America would often go on tour. It was a great way to get exposure and get more matches. Not often would you see it the other way around and see clubs go on tour to South America. That changed in 1951 when Europe came to Rio De Janeiro. A Brazilian newspaper called O Globo Sportivo ran an article about the FIFA President at the time Jules Rimet saying he’d back a world championship in Rio. The Copa Rio was split into two groups of four teams. The first group would play their games in Rio and consist of: CR Vasco Da Gama (Brazil), Austria Vienna (Austria), Nacional (Uruguay), and Sporting Lisbon (Portugal). The second group, who played their games in Sao Paulo, consisted of: Palmeiras (Brazil), Juventus (Italy), Red Star Belgrade (Yugoslavia), and Nice (France). South America really embraced this tournament as it was the real first opportunity for them to show what their domestic competition was capable of. The Uruguayan FA shut down their league from June 30-July 8 in order to send their leagues best team Nacional which included the likes of Jesus “Chuco” Ponce and Tomas Balcazar. These were the tables at the conclusion of the group stages. Each semi-final match was over two legs. Juventus beat Austria Vienna 4-3 on aggregate and Palmeiras defeated Vasco Da Gama on aggregate 2-1. Everything was set for Juventus to battle Palmeiras in the finals. The final was played in Rio De Janeiro at the Maracana, the stadium of the national team. Palmeiras starting XI was: Fábio, Salvador, Juvenal; Túlio, Luís Villa, Dema, Lima, Ponce de León, Liminha, Jair, Rodrigues. They were managed by Ventura Cambon. Juventus starting XI was: Viola, Bertuccelli, Manente, Mari, Parola, Bizzotto, Miccinelli, Karl Hansen, Boniperti, Johan Hansen, Praest. They were managed by Jesse Carver. Palmeiras won the match 3-2 on penalties and the match was witnessed by over 100,000 people. The goalscorers for Palmeiras were Rodrigues and Liminha, while Praest and Boniperti scored for Juventus. 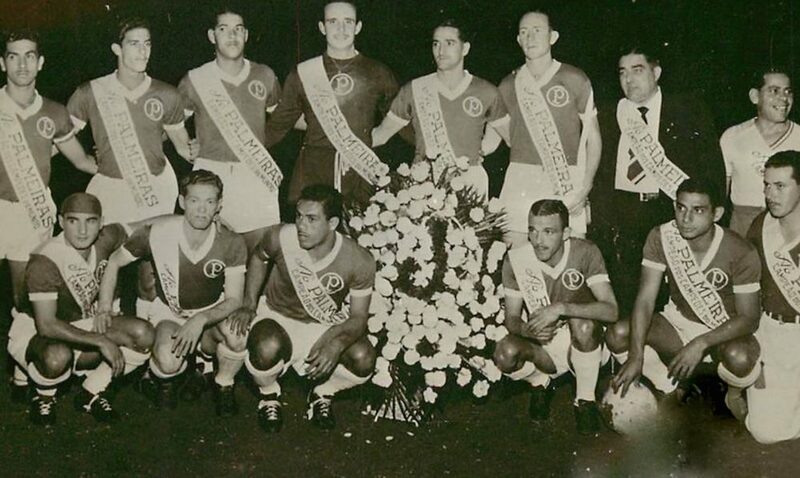 Half a century following the competition, Palmeiras put together a case and presented it to FIFA to have them officially recognise the Copa Rio of 1951 the world’s first official Club World Cup. On March 30th, 2007, Urs Linsi signed off to officially do just that. This sparked a chain of proposals to FIFA to recognise many other club world trophies, including one from Palmeiras’ rivals Corinthians. Corinthians won the World Club Championship in 2000, which was also hosted in Brazil. Then the one on December 15th, 2007, which FIFA then decided to officially declare the first Club World Cup, overruling their previous decision. Every “club world cup” prior to 2000 was declared an international competition and non-FIFA tournament. On December 18th, 2015, FIFA again explained that the Palmeiras are the holders of the first world club competition history. The new confirmation was given through an official document to the newspaper O Estado de Sao Paulo , directly from the headquarters of FIFA. Yet the competition is not a FIFA recognised competition. In May of this year, Palmeiras added a red star above their jersey in recognition of the clubs greatest achievement, winning the first ever world club competition of history. These jerseys were debuted in the last match of the first phrase of the Copa Libertadores against Argentine opponents Atletico Tucuman. Interesting. It would be nice to see that Palmeiras with current Real Madrid.